Originally published in 1974, this volume examines the behavioural similarities of obese humans and animals whose so-called feeding centre (the ventro-medial hypothalamic nuclei) has been lesioned. Both the obese human and the VMH-lesioned animal seem to share a hyposensitivity to the internal (physiological) cues to eating and hypersensitivity to external cues associated with food. Beginning with a review, these obese animals and the human obese are compared point by point on experimental results reported in the literature. Then, new findings are presented that specifically tested humans for relationships that are well-established for lesioned animals. Next, a theoretical framework integrates the human and animal data to postulate that the relationship of cue prominence and probability of response is stronger for the obese than for normal. 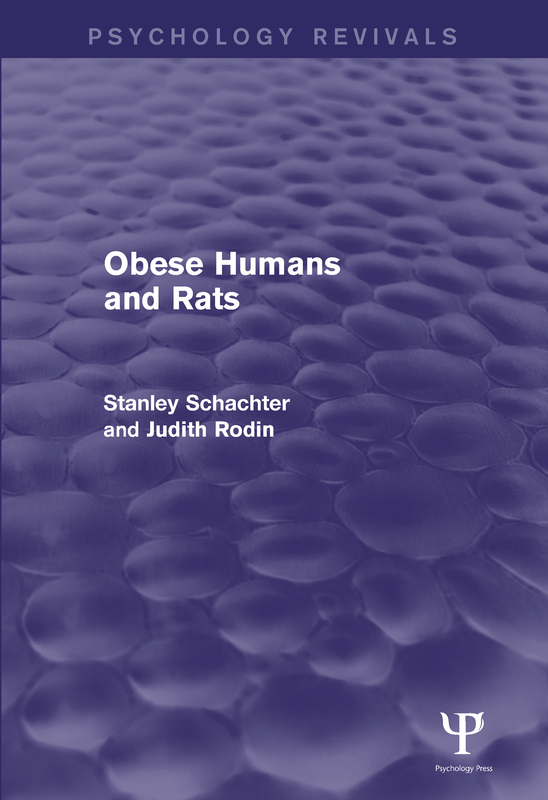 The causes for this, and the extension of the basis for the obese’s eating behaviour to other areas, are discussed in light of further experiments that will make this invaluable reading for all concerned with the history of obesity and the issues of regulatory behaviour. Preface. Part 1 1. Behavioral Similarities of the VMH-Lesioned Animal and the Obese Human 2. Stanley Schacter and Lucy N. Friedman The Effects of Work and Cue Prominence on Eating Behavior 3. Judith Rodin, Donald Elman and Stanley Schacter Emotionality and Obesity 4. Judith Rodin Shock Avoidance Behavior in Obese and Normal Subjects 5. Patricia Pliner Effects of Liquid and Solid Preloads on the Eating Behavior of Obese and Normal Persons 6. Pain Sensitivity and Passive Avoidance Part 2: Animal-Human Behavioral Parallels and Stimulus Sensitivity 7. Lee Ross Effects of Manipulating Salience of Food Upon Consumption by Obese and Normal Eaters 8. William G. Johnson The Effects of Cue Prominence and Obesity on Effort to Obtain Food 9. Stanley Schacter, Lucy N. Friedman and Joel Handler Who Eats With Chopsticks? 10. External Sensitivity and the VMH-Lesioned Animal 11. Dynamic and Static Hyperphagia Part 3: External Sensitivity in Non-Feeding Situations 12. Judith Rodin, C. Peter Herman and Stanley Schacter Obesity and Various Tests of External Sensitivity 13. Judith Rodin Effects of Distraction on the Performance of Obese and Normal Subjects 14. Patricia Pliner On the Generalizability of the Externality Hypothesis. Appendix. References. Author Index. Subject Index. Stanley Schacter was professor of psychology at Columbia University. At the age of 70, Schachter decided it was time to end his 31-year career at Columbia University and retired in 1992 with an emeritus designation. Five years later, Schachter died on June 7, 1997 at his home in East Hampton, New York. Dr Judith Rodin is President of The Rockefeller Foundation, 2005 – 2017 President Emerita, University of Pennsylvania.